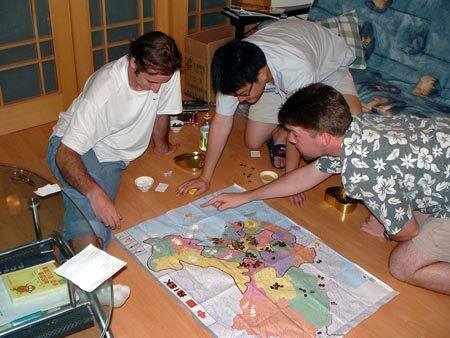 It was a wild Friday night out here at ZUCC, as Wayne, Derrick, Lenny, and I stayed home for a homemade game of Risk… China Risk! 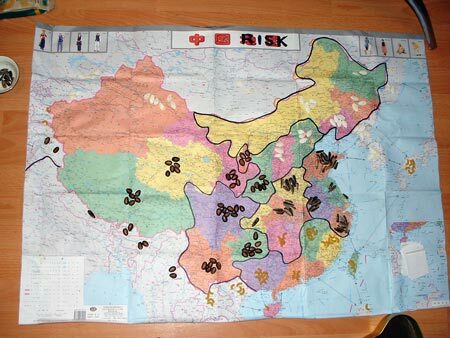 The game is won when one player’s armies occupy all of China (including Taiwain). The tricky part is that forces can be positioned outside of China as well (Russia, Japan, India, etc. ).